What type of towel quality will make it easiest for you, your employees and your guests to have a superior experience? If you’re not sure, let Towel Super Center guide you. 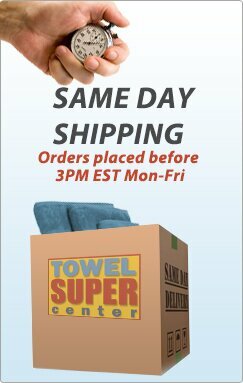 Our goal is for you to get the wholesale towels you need at affordable prices, every day. Check our guide to getting the right wholesale towel quality and place your order online with confidence. Economy quality towels come in all shapes and sizes, from washcloths to bath towels. Because they’re considered economy grade, the cotton fiber loops are less plush than in other towel grades. However, you still get all the benefits of 100-percent cotton towels, such as fast-drying and thirstiness. In general, economy quality towels are best-suited for constant moderate use. For instance, many health clubs whose members frequently borrow towels prefer to have economy quality models on hand. The same is true for towels used at pet grooming services and car washes. Some salons use economy quality towels for purposes not related to helping customers, such as back-end cleanup. Premium quality wholesale towels are a bump up from economy quality towels. They’re labeled “premium” because of the way the fibers are woven. Not only are they more tightly looped, but they provide increased fluffiness. If it’s important to you to offer your customers and clients a more premium type of towel when they stop by your establishment, consider upgrading to premium towels. You can pick the dimensions that are right for your needs and place an order quickly at Towel Super Center. 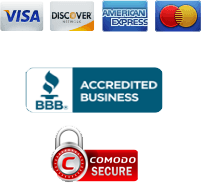 At the highest level on the quality chain are our deluxe premium plus quality wholesale towels. These are the most luxurious 100-percent cotton fiber towels we have in our catalogue. They provide all the cushioning you’d expect from top-line towels, but are still deeply discounted to save you money. Spas and hotels often opt for premium plus towels because they make excellent impressions on patrons. Some hairdressers, country clubs and nail salons like to have these towels, as well. Our bleach-resistant — sometimes also called bleach-safe — wholesale towels are a great choice if your towels constantly encounter bleaches or bleaching agents. Popular hair dyes, cosmetics and beauty products can leave colored towels spotted, splotchy and faded. Having a bleach-resistant towel mitigates problems associated with this type of issue. Not sure you need the advantages of a 100-percent cotton towel? Check out our 86/14 blended models. These towels are mostly made from cotton fibers, but they include other materials, as well. On every 86/14 blended towel page, we talk about the benefits to specific customers of choosing this type of product. 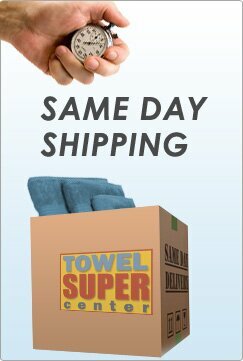 No matter what type of wholesale towel you need for your business, Towel Super Center makes it simple for you to order. Plus, we offer fast shipping so you can enjoy the right towel as soon as possible. Order new towels for your business today!